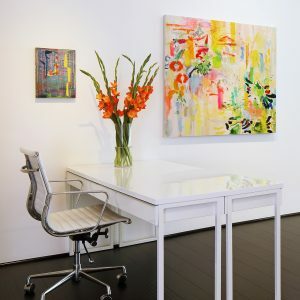 We are a fine art gallery and art consulting firm that represents emerging and mid-career investment-quality artists. Our exhibition program includes over forty artists working in a variety of mediums. We organize more than twenty solo exhibitions and concept-driven group shows each year in our two spacious galleries. We collaborate with architects, design professionals, the hospitality industry and individuals to help build meaningful art collections. 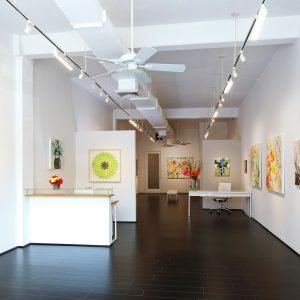 Founded in 1994, the gallery has had three locations in beautiful Larchmont, New York. In 2013, after thirteen years in 1955 Palmer Avenue, we moved a short hop down the street to a newly renovated gallery space located at 1947 Palmer Avenue. 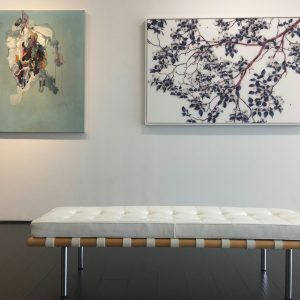 Occupying 2600 square feet, we have two gallery rooms for exhibition programming, a project space, a private presentation room and a large on-site warehouse. Director and owner Kenise Barnes has degrees in Fine Art and in Women’s Studies. She gained early experience as the specialist in charge of contemporary art at Christie’s East. With more than 20 years experience in the arts, Kenise is a gallery director, independent curator, exhibition juror and art advisor. Our client list includes New York University/Langone Medical Center, Bank of America Art Program, Pfizer Corporation, Memorial Sloan Kettering Cancer Centers, Montefiore Medical Center, Citibank Art advisory, Vicente Wolf Associates, and numerous private collectors, architects and interior designers worldwide. You must be a member and logged in to view this content.